We must seize this opportunity to create a transportation system that is rooted in people and promotes vibrant, healthy, and clean places for people to live, work, and play — places that prioritize the movement of people over the movement of cars. When The Greenlining Institute reviewed the issues in depth, we found that part of the answer lies in what some call FAVES – fleets of automated vehicles that are electric and shared – if governments guide their development with smart policies designed to meet the needs of all users, including marginalized populations. Alvaro Sanchez is environmental equity director at The Greenlining Institute. Susan Shaheen is an adjunct professor in Civil and Environmental Engineering at UC Berkeley and is co-director of the Transportation Sustainability Research Center. They wrote this commentary for CALmatters, a public interest journalism venture committed to explaining how California’s Capitol works and why it matters. 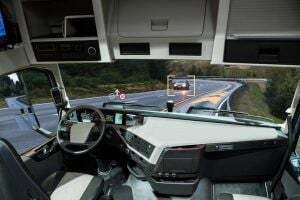 Driverless cars: Are you serious? What if 5 million jobs disappear?